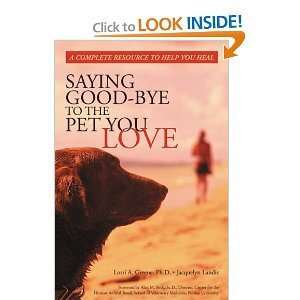 I just finished a wonderful little book on Pet Grief: Saying Good-bye to the Pet You Love by Lorri A. Greene, Ph.D. and Jacquelyn Landis. The authors discuss why some people suffer profoundly on the loss of a pet, while others get a little misty-eyed for a moment and then move on. The answer is intuitive, and you already know it: the deeper the bond, the deeper the grief. However, what these authors add is a way of quantifying that bond. The book provides a quiz to help you understand if you are “conventionally bonded,” “intensely bonded,” or “uniquely bonded” to your animal friend. Some people, of course, are not bonded at all with the pet. The dog is there to bark if a stranger comes; the cat is there to catch mice. The pets may be left outside a good deal of the time. An animal is an animal, and the non-bonded person really doesn’t think much about the subject. 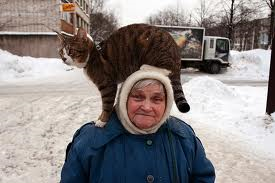 The” conventionally bonded” pet owner takes good care of the animal, exercising him, taking him to the vet as needed. When the animal passes on, he may have some kind of a memorial ceremony, perhaps scattering the ashes in the yard, and tears may flow. Then, it’s back to the demands of daily life, and the pet is remembered fondly. 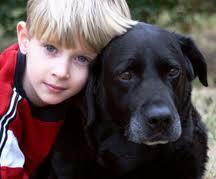 The “intensely bonded” think of their pet as a full family member. They may prepare special food for their animal friend, and enjoy watching him or her eat. The pet may sleep with the person, and is involved in as many family activities as possible, probably even posing in the family photo. The intensely bonded suffer the loss of this relationship very deeply. Those who are uniquely bonded think of their animal companion as their “little girl,” their “son” or “daughter,” or their “soul mate.” In my practice and in my experience with pet grief groups, I have seen that this is often so. One person even described his deceased dog as “part of his identity. “ I have seen some animal-human duos in which I felt that the animal might have represented the person’s inner child, and was giving the person the opportunity to nurture that part of himself. The uniquely bonded person has the conviction that his animal understands him better than most people do. The person may prefer the company of his animal friend to that of many people, finding it consistently warm, comforting and supportive, unlike some human relationships. The uniquely bonded person will spare no expense when it comes to the medical care of his animal friend. When the time comes to say good-bye, the grief is so profound, that the person may have a very hard time recovering. Of these three types of bonds which Greene describes, none is the “right” or “wrong” bond. They merely provide a way of understanding why Pet Grief is so devastating for some people, and has only a minor effect on others. You may find yourself grieving more deeply over one animal friend than another. 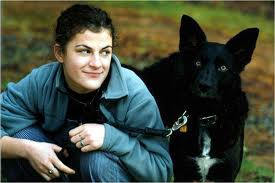 No doubt you connected to one animal more deeply than another; perhaps also the depth of the grief had something to do with other issues in your life at the time; it’s not only what the animal meant to you, but also what the circumstances of the death meant to you. It’s a good idea to get therapy if you find that you feel you are “stuck” in grief, or simply need support. Please believe, your heart can heal. It may not seem like it ever will. You need a space to talk about your animal friend, to mourn without anyone trying to talk you out of that process, to acknowledge the significance of the loss. Then there will eventually come a day when you remember your animal friend with more joy than sorrow. For me I am uniquely bonded in love my dogs. I have beautiful human family. Love them to! Each hound is a little Jesus with fur on, full of grace, mercy and unconditional love. I am thankful to the real Jesus with such tangible love gifts! Thank you for this article. It’s very comforting. My beloved cat Bailey died Valentine’s night suddenly and unexpectedly. I’m heartbroken. We were uniquely bonded. He was my lover boy as he loved to love and be loved, my “soulmate”, my little boy… he followed me everywhere and slept with me at night. I miss him tremendously. I’m single and have no children other than another cat who misses him tremendously too. How well I understand, Suzy. I just lost my little girl yesterday and am devasteded. Basically alone in a foreign country, she was with me 13 years and I feel so lost so lonely for the weight of her little body in my arms. Yes, I truly understand your feelings. Hugs! I’m sorry for your loss CJ. It’s so soon. Cry as much as you need to. It’s perfectly normal. You have endured a great loss. It’s been a rough five weeks for me. I picked up Bailey’s ashes last week. There are people who are animal lovers and understand the great love we have for our fur-kids. Tell me about your little girl. Smulan was a beautiful little pure black, sweet and loving cat who got diabetes the last year of her life. Many months of testing all thru the day and shots twice a day. Finally she got a skin condition what wouldn’t never get better and she was in pain so we had to do what every pet owner dreads and set her free. Our hearts are breaking, even though we know it will lessen eventually. We’re much older than you, I’m sure with all our children and grandchildren the US, The Netherlands and Norway. We’re older and alone and just lost 1/3 of our family. From having a long life, I can tell you that it does get better. You never ever forget but the pain evens out and life goes on. But as you and I know…..right now it’s very sad for us. Big Hugs!! Smulan sounds beautiful. What great parents you are giving her shots and loving her. I’m sure she felt your love and devotion. I had a black and white cat before Bailey who lived to be 21. I gave him SubQ fluids for 1 1/2 years before he passed away. Bailey always reminded me a little of him. We had an amazing connection. The pain does even out although it is very sad. I sure wish they could stay longer. I’m putting together a photo album of Bailey. His pictures warm my heart and makes me smile. We will always carry our beloved cats with us in our hearts. Big Hugs to you at this tender time. And big hugs to you, too, Suzy. Thank your for sharing this time with me. Hejdå from Sweden. You’re so right about doing well one day and not the next. I was feeling guilty because I did so well yesterday and now, today, it’s been tears here and there for what seems like no reason. I guess it’s all there inside yet. I’m from the U.S. I grew up in Michigan and then moved to the Kansas City area of Missouri where I had and raised my kids. I miss the U.S.and am lonely a lot here so Smulan was such a comfort to me the last 13 years. I have lived here 16 years so she was with me for most of them. It’s nice that you have another kitty to love. How old was Bailey? It’s really hard to lose the only kitty you have. You and Neeko are sharing the same feelings. Yes, it’s strange how we meet people sometimes but I think that it’s meant to be that way. Even if it’s only for a short time, it’s nice to share with and understand someone else and maybe offer and receive a few words of comfort. I believe that’s what we are supposed to do for each other. Take good care of Neeko and have a nice long cuddle because it will be good for both of you! Bailey was only 7 and his death was sudden and unexpected. He was so young and I had just brought him to the vet 4 weeks before he died. The hard part for me is that I didn’t have time to prepare, be there with him when he died or say goodbye. It was Valentine’s night when he came in from outside, jumped on the table and ate a few pieces of lobster I saved for him. I found him around an hour later having difficulty breathing and I rushed him to the Vet Emergency at 10pm. The vet started working on him. They came out to tell me he was in critical condition, his body temperature was very low at 94 and they put him in an oxygen chamber. They said they would run tests as soon as he stabilized and I could pick him up in the morning. If there were changes, they would call me. However, because of his critical condition, he may pass away during the night and I could not see him as he was in distress. I went home to call my sister as I had forgot my cell phone. I was gone from the vet ER less that 15 minutes when they called to tell me he stopped breathing. I said okay to them putting a tube down his throat and I rushed back to the office. When I got there they told me he was brain dead and the only thing keeping him alive was the machine and them. When I saw his eyes, I knew he was gone and I had them take the tube out. The vet said he most likely had an underlying heart condition that went undetected. It’s been really hard for me and I cry everyday. Neeko is 12 and I got Bailey for her to keep her company. She still looks for him and lays in the spots he used to lay. I felt more of a connection with Bailey as he followed me everywhere, slept with me and liked to be close. Neeko has always been more aloof but now she seems to be sticking pretty close to me. I know she’s grieving too and I’m giving her extra TLC. I’m really glad to have this forum. It helps to share with someone who understands and I appreciate your words of comfort. I believe shared experiences help us to heal and remember our special ones. I can only imagine how much comfort Smulan brought you as she shared most of your life in a foreign country. What brought you to Sweden? And how did you get the name Smulan, does it have a special meaning? Suzy….I met my husband online while researching my family here in Sweden. I’m all Swedish by birth. Smulan means “little bit” in Swedish. She was a feisty, darling kitten, all black as I said, and quite small when we got her. I had a hard time finding any kittens at all and looked for months. It was love at first sight! C… Pretty amazing how you got to Sweden and met your husband. Smulan’s name fit her perfectly. When you describe her, I can picture her. I bet she was a real sweetheart. How are you doing? I’ve had a couple of good days this past week. I had a dream of Bailey the other night and it felt so real. I woke up from it and felt like we had actually spent time together. How about you? Have you had any dreams of Smulan yet? Hi Suzy…no, no dreams yet and I wonder why. We have been out of town to a funeral and it was really difficult because I thought about how much attention that particular death was getting (and that was ok and right) but how Smulan never got a word much from anyone. I miss her so much and think maybe the whole thing has’t “hit” me yet. My husband dreamed of her and I was so happy for that. He said she was in a big field and running totally free….no leash. I always wished she could do that but she never did. We gave all her food and litter away to a wonderful family member who love cats so I was happy that it was helping his cats. Still, I wish Smulan could come back but only if she was well…..not miserable as she was. I like your husband’s dream of her… I hope Bailey and Smulan meet on the otherside and are playing together and hanging out with their other friends. Hej Suzy….I liked your comment about Smulan and Bailey hanging out together. I would bet that they are. You know, I am a firm believer that people come into our lives at a certain time for a reason. A few email comments here between us may not seem like so much but we meet people when we need to. I’m sure our kitties are also together. The universe, Creator, God….whatever name you use….is real, and all about love and caring for the Earth and all that’s on it. We have done that with our cats (and you are still doing that with Neeko). Because of that, we don’t have to worry about them now. Smulan is no longer in pain and is sounds like Bailey also escaped some difficult times. Hej CJ… I like the way you think. I too, believe people come into our lives for a reason and that the universe, God… loves us and cares for us and ultimately.. in spite of painful times, life is good. Believe me the few email comments between us have been comforting and uplifting..very healing. Like you mentioned not everyone wants to talk about cats. It’s upsetting to me as well. I know Smulan and Bailey are pain free. I think they miss us too, although probably not in the same way that we miss them. I can see them playing and sharing their stories about life on earth. They’re probably saying to us, “Job well done. Thanks for taking care of me and loving me.” I read recently that we and our pets choose each other… that when we meet.. our souls come alive around each other and that’s how we choose. I thought that was sweet. I sure miss him and find my heart still fragile. That’s pretty synchronistic how you found a Bailey’s “mom” to share this time and your thoughts of Smulan with. I feel honored. Your Aunt must’ve been a really neat lady to be able to talk with her as you did. What’s it like to live in Sweden? How’s the culture in regards to pets? Well, I had a long reply and lost it. Sweden is a beautiful place. More quiet, relaxed, and closed-in than the US. Very nice people but it’s next to impossible to make friends here and personalities are very closed up compared to America. Dogs rule everything, I think! haha. Cats are loved by some but there are dogs in most every house and apartment, I think. I have never seen a stray in 16 years and they’re well cared for. Horses are also very popular here and there is a law that you can’t have just one alone. You have to have two so they have companionship. Email might be better than writing here but I’m not sure it’s good to put our email address on the site. Darn! I think you’re courageous or very much in love to have moved to Sweden. I’ve always wanted to visit there and Norway. They sound beautiful. They certainly think highly of dogs and horses now if we can convince them that cats really do rule. Emails would be easier. I’ll give you an old email address that I rarely use and forgot I even had it until I just checked. After you email me there, I’ll give you my personal email address. I will spell it out but it runs together as one word. It is magnetik at bellsouth dot net Email me there and if for some reason it doesn’t work, write back here as I have another idea.